Manassas, VA– Dennis Rainey is scheduled to speak on Wednesday, February 25, at the Media Excellence Dinner of the NRB 2015 International Christian Media Convention in Nashville, TN. 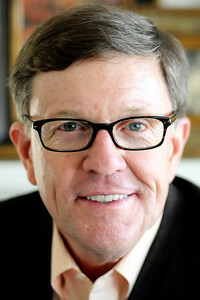 Dennis Rainey is the President and CEO of FamilyLife, a subsidiary of Campus Crusade for Christ. Since the organization began in 1976, Rainey’s leadership has enabled FamilyLife to grow into a dynamic and vital ministry that offers families blueprints for living godly lives. Rainey has authored or co-authored more than two dozen books, including the bestselling Moments Together for Couples and Staying Close. He has also received two Golden Medallion Awards from the Evangelical Christian Publishers Association. A powerful and effective communicator, Rainey can be heard daily as co-host of the nationally syndicated radio program FamilyLife Today®. For his work in radio, Rainey was the recipient of the NRB Radio Program of the Year Award twice. Rainey serves as the senior editor of the HomeBuilders Couples Series®, which has sold more than 2.5 million copies and has been translated into 47 languages. He also serves on the Board of Directors of FamilyLife and Dallas Theological Seminary.